Carbon offsetting is the process of ensuring that whatever carbon dioxide you produce is absorbed. This is to promote the reduction of global carbon emissions. The easiest way to promote carbon offsetting is to plant trees and have a small garden. Theoretically whatever action you perform, such as taking a flight between two states, contributes to carbon dioxide emissions. Using a carbon calculator one can calculate the carbon footprint they have on the environment. In order to counter this they can take steps to replace the carbon dioxide with fresh oxygen by planting more plants or taking other such measures. Another idea of carbon offsetting is paying for the reduction of carbon dioxide. This involves purchasing of ‘offsets’ for reducing the amount of CO2 emissions elsewhere, whenever one undertakes air travel. Some of the ways to achieve carbon offsetting is to invest in renewable energy, energy conservation drives, and methane captures. Under the Kyoto protocol, governments and private companies can earn carbon credits that can be traded in the marketplace. This is a proactive measure to ensure that companies and consumers indirectly or directly promote sustainable development practices. 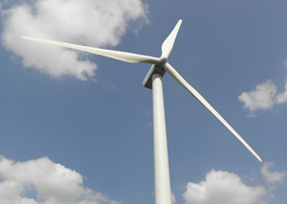 Companies such as those involved in wind energy generation may sell an offset to a company that is producing green house gas emissions. The energy company benefits as it is able to fund new projects while the company that is producing green house gas emissions also benefits as it can claim that it is purchasing clean, non polluting energy or helping to promote reduction of greenhouse gases. One of the most common solutions to carbon offsetting has been planting more trees. However only certain trees help to provide carbon offsetting benefits, others can even be detrimental to the process. Trees like monocultures of eucalyptus for example; when introduced into a land which does not have it as a native species can lead to catastrophic effects on biodiversity. Ideally, only indigenous trees should be planted even though non-native plants may be of a faster growing variety.